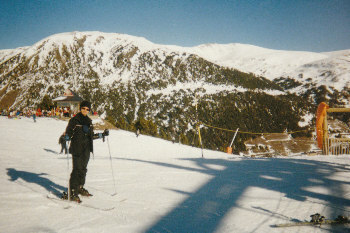 Tammay and I travelled to Andorra just after we finished our PhDs. 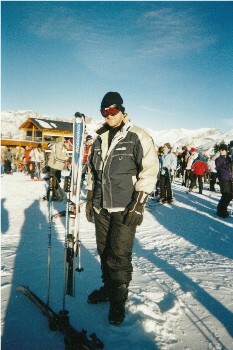 In fact I remember rushing to submit my thesis on the Friday before we left. 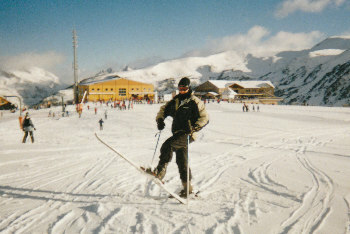 We flew into Toulouse on the 20th of January 2002 and spent a week skiing in the resort of Soldeu. 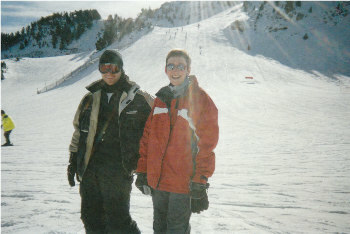 This was the first time either of us had been skiing and we loved it! 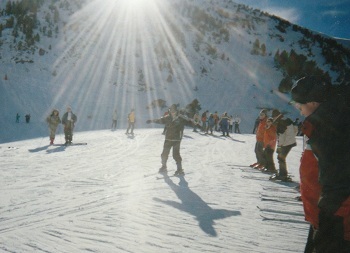 Although Tammay did end up having to be rescued off the mountain side! 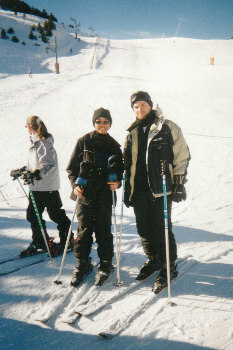 Tammay and I hit the slopes. Easyjet! Easyjet! 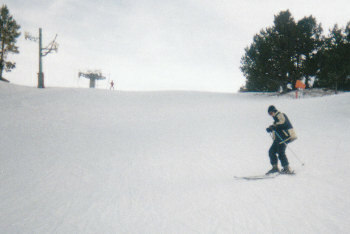 Our Iranian instructor kept shouting for us to keep our arms stretched out. Starting to get the hang of it now. Well it felt a lot faster at the time. 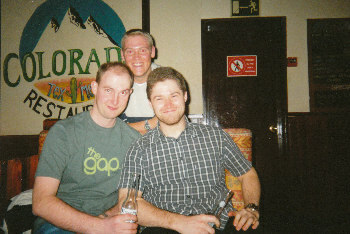 Me and a fellow ski school pupil. 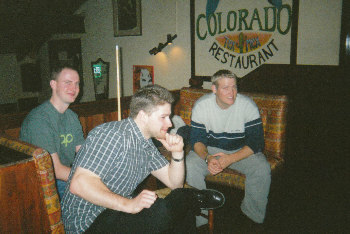 On the last evening we went out to a restaurant with a few of the people who were staying at our hotel. 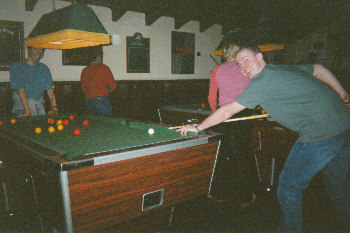 We also enjoyed a few games of pool. 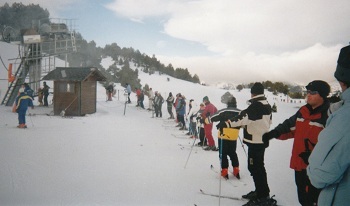 Following our stay in Andorra we took the bus transfer back to Toulouse (a few people seemed to come down with food poisoning!) and returned to the UK on 27th of January.